Hosting means providing web space to websites in the form of web hosting. A website domain always needs some web space on internet to go live. So, in web hosting there are two important terms first one is the domain and second one is web space. When web space is provided to domain it is known as web hosting or website hosting. Here We are going to discuss about web hosting, types of website hosting and how to buy cheap hosting from different web hosting providers. Web hosting means providing web space to domain. 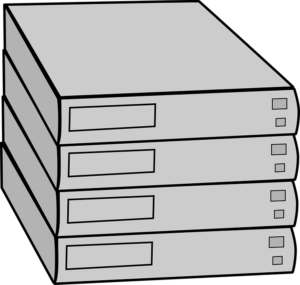 In order to go live it is important for website to get space for files and data to be stored on web servers. So, web hosting is required for this purpose. Web Server are high powered computers provided by hosting service providers for website hosting. Files and data are stored on these web server to go live. No website can run without being connected with web server. Website host companies have many web server at a same location. These web servers can also be called as data centre as all data is stored here of a website. To host a website hosting companies provides things like security, bandwidth, space and customer support with their hosting plans to fulfill all needs of a website. Imagine hosting company as a market or a shopping mall. If you want to setup your own shop in that market or shopping centre. You need to get some place on lease. The same is with the web hosting companies from where you can get web hosting space on their web servers. For different kind of customers web hosting service providers provides different kind of web hosting plans. Some customers require more web space while other require less depending upon their needs. For Example: If you are dealing in only women saree then you require less space in shop but if you are dealing in many kind of clothing then you need more space in the shop. Same is with the hosting. Some websites requires less space and less bandwidth whereas other websites require more web space and more bandwidth according to their work. Shared hosting as the name indicates in this type of web hosting it is shared by many websites at a same time. Suppose a big godown shared by many shop owners to store their stock. Shared hosting is shared by many web owners for their websites so it have less resources and have some demerits in comparison with dedicated server hosting or virtual private server (VPS). Shared hosting is the best web hosting if you have just started a website that requires less space or if you have less budget to spend. This kind of web hosting is mostly used by newbies. Dedicated server hosting is a kind of web hosting where web server is completely dedicated to a website. Some eCommerce websites and heavy websites that requires more space, bandwidth and high security generally buy dedicated server hosting for web space of their domain. Dedicated server hosting don’t have other people sharing your web hosting. So, it have merits on shared hosting but it is comparatively expensive as it provides more web resources to you. Virtual Private Server is a private owned web server. 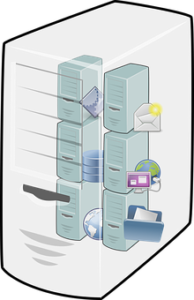 Many websites buy their own virtual private server when they have lots of files and data to be stored on web. Virtual Private server provides great web resources to website owners and builders. It is like leasing a terrace of shopping centre for open terrace restaurant. Cloud hosting is the most powerful hosting that you can get. It is the fastest and most secured type of web hosting. 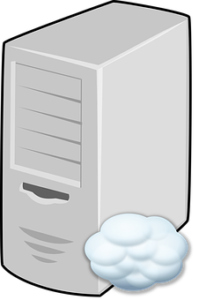 Cloud hosting is the addition of many web servers at different locations. Suppose if you visit a website and access to information stored in their shared hosting or dedicated hosting servers than internet takes you to the location where the particular data is stored in case of dedicated, shared and VPN hosting. If you have bought web space from web server located in USA and you are accessing information from other country like India than it will get you information from web servers located at USA. This process consumes more time. 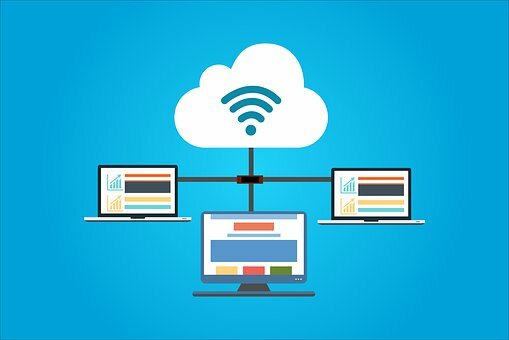 So, people prefer to buy cloud hosting as it consumes very less time in providing information that automatically increases the website load speed. Cloud hosting have their web servers at different locations. So, for websites to bring information for you requires less time as it reached to nearest cloud hosting web sever and bring information in less time in comparison to other types of web hosting. Some websites are build using web applications like wordpress. Website built on wordpress can use wordpress hosting. Many hosting comapnies provides cheap wordpress hosting plans that are bought by the customers who require less space and want to host their wordpress built website. It is easy to build website on wordpress. So, many customers choose to buy hosting according to their website and goes for wordpress hosting. WordPress website can also use other types of hosting plans as per their needs. To buy cheap hosting plan you can visit to hosting services like hostgator and bluehost. I recommend people to get hosting plan from godaddy. Might be hosting plans of godaddy are some more expensive but their customer support is very good. To buy web hosting all you need to do is visit some best web hosting websites and do sign up as new users after creating your user profile you can purchase cheap web hosting plan as per your need and than connect your domain with your bought web hosting. After purchasing a web hosting plan it automatically asks for a domain name you want to connect with it. You just need to enter the domain name and verify your ownership of that domain name explained by the host provider. That’s it. 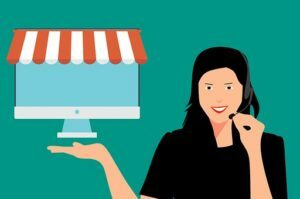 In 2-3 easy steps you can connect your domain with the web hosting. All hosting service providers have their own way of connecting web hosting with domain name which they describe in their manuals and tutorials or in steps while purchasing hosting. ← What is a domain name and how to buy a good domain name?